Oh, the wondrous places your feet will take you in this region so rich in beauty and charm. 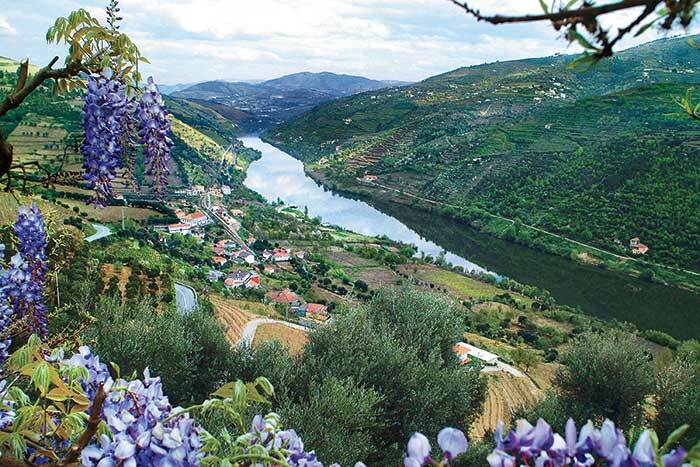 Ancient Spanish trails, Portuguese city streets, World Heritage terraced vineyards and glorious river gorges. 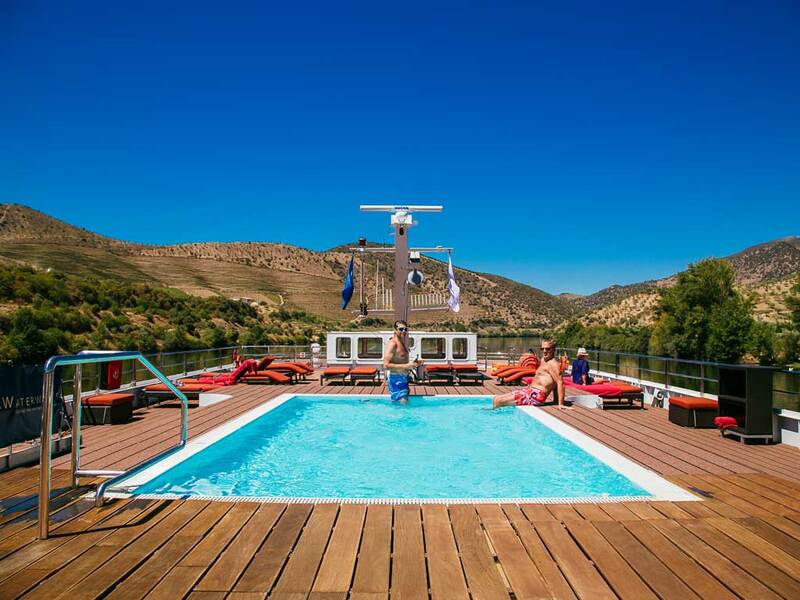 Then walk aboard your floating hotel, sit back and sip a glass of port as you watch old-world Europe drift slowly by. 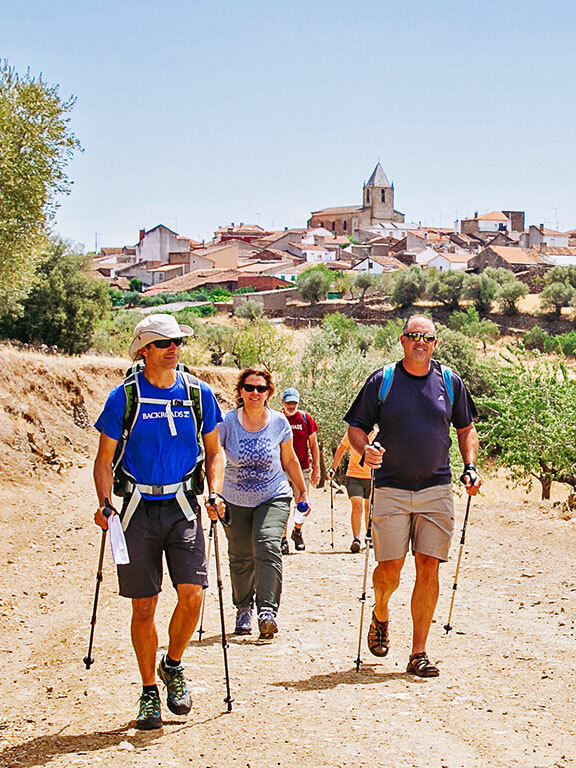 Day 1 From Salamanca, journey near the border of Spain and Portugal | Hike through the Arribes del Duero Natural Park along historic railway lines | Descend into the Douro Valley amid olive and almond trees, and cross into Portugal on foot. 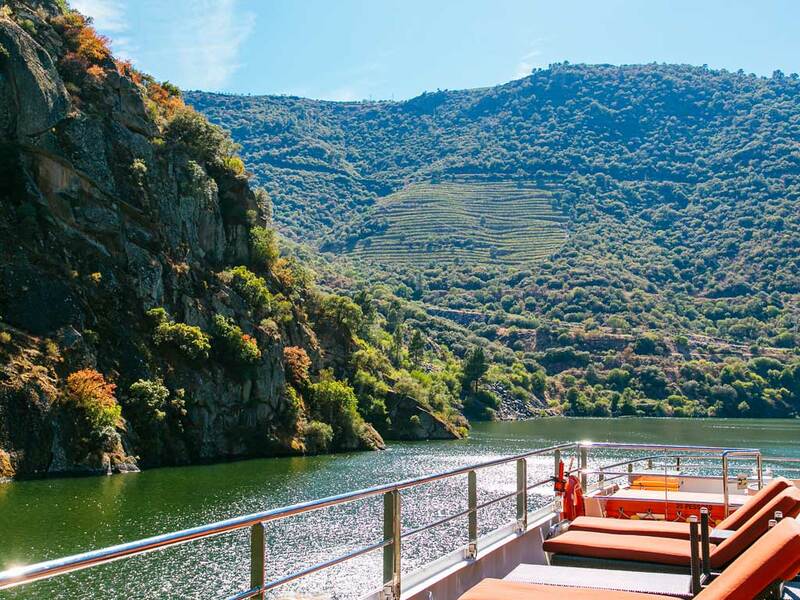 Days 2-3 Hike from the fortified hilltop village of Castelo Rodrigo | Experience the Douro lock system's feat of engineering as you sail through | Gaze at the lovely azulejos in Pinhão, a mecca for wine lovers | Descend into the Torto Valley, lush with orange and apple trees. Days 4-5 Ready to test your mettle? 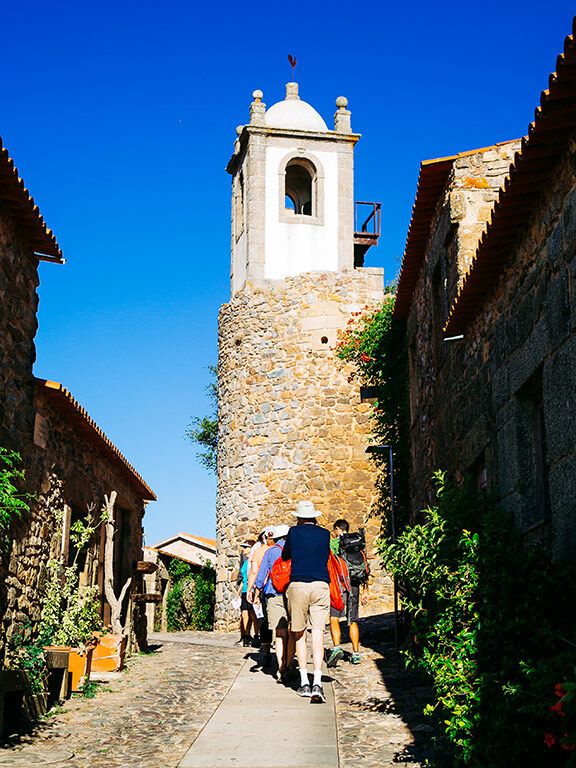 Climb the zigzagging steps of Nossa Senhora Sanctuary, a baroque sight to behold | Walk along the famous Camino de Santiago pilgrimage route | Relax during an afternoon cruise on the Douro | Hike within the Serra da Aboboreira, an absolute hidden gem | Be awed by historic water mills, stone villages and enormous rock formations. 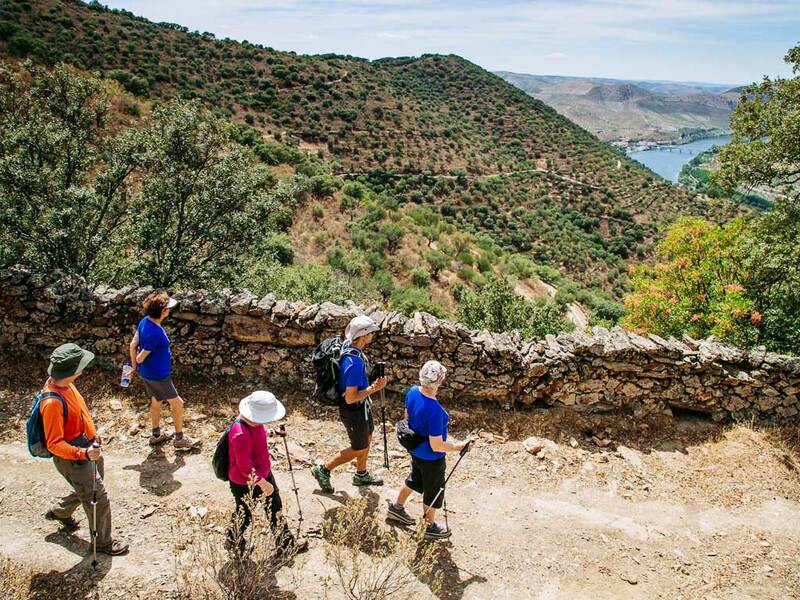 Day 6 Walk along the wooden walkways of Passadiços do Paiva to admire the rugged Paiva River gorge | Delight in the scent of fresh salty air on a breezy beach walk along the Atlantic. 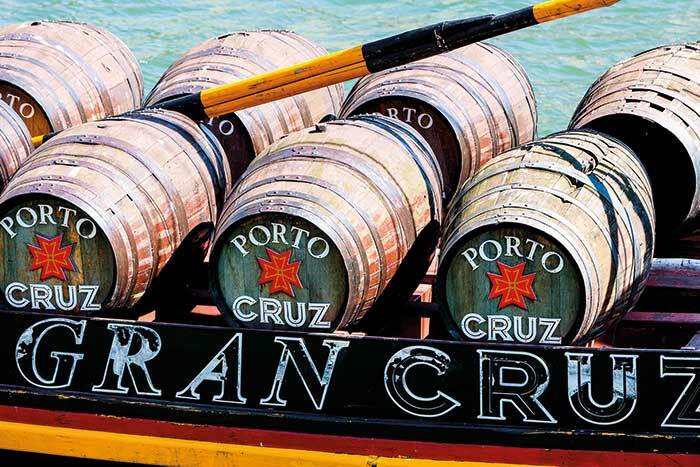 Days 7-8 Discover the enchanting World Heritage city of Porto on a private guided walking tour | Taste your way through the wine lodges of Vila Nova de Gaia | Enjoy an unforgettable farewell dinner and morning journey to Lisbon. Please note: Due to the multiple stateroom options available on this trip, reservations can only be made by contacting one of our Trip Consultants at 800-462-2848 or via email. From $5,498 - $8,698 pp dbl. occ. View the deck plans. 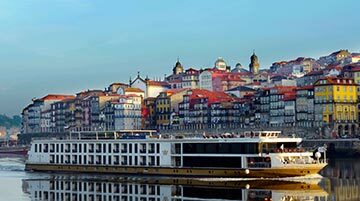 See Dates & Prices for specific ship, stateroom category availability and embarkation/disembarkation details. 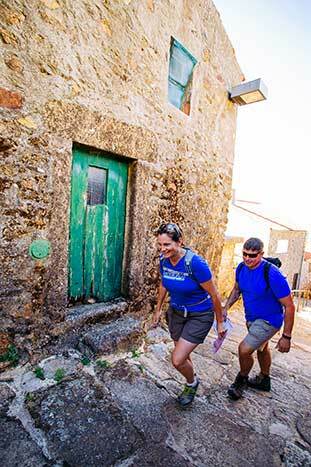 Note: The terrain on this trip varies from relatively level to rolling hills with some steeper climbs and descents on dirt paths, cobblestones, wooden walkways and occasionally, stairs. We will likely encounter sections of uneven footing in the form of rocks, roots and possibly mud. The ships we sail on are like floating luxury hotels, so you can visit a new destination each day without touching your suitcase once you've settled in. Our ships are custom‐designed with a variety of inviting spaces that offer plenty of room for both relaxing and socializing. These ships are vastly smaller than most cruise ships, with up to just 150 passengers on our river trips and up to only 250 on our ocean trips. We sail with up to 40 Backroads guests. Occasionally there may be more than one Backroads group on board and you may cross paths with the other group on some routes or at restaurants. For instance, we may have a group of 20 hikers and another group of 20 bikers. When this occurs, each group will have their own dedicated onboard Backroads leaders. On shore, you'll have up to three additional land-based leaders to support your group, offering the same high ratio of Backroads Trip Leaders to guests as you'll find on our hotel trips. If you're new to Backroads active cruise trips, there are a few things you need to know. Our cruises are smaller, and much more intimate than a typical cruise. They are also quite lively, social experiences, shaped by both our Backroads group and the larger ship community. 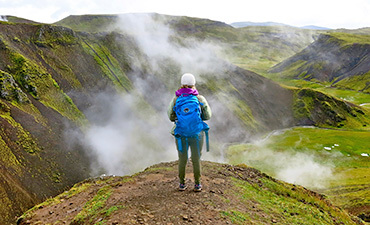 Additionally, even with an itinerary subject to fixed nautical schedules that may occasionally limit our time on shore, we get out and explore far beyond the cruise norm. 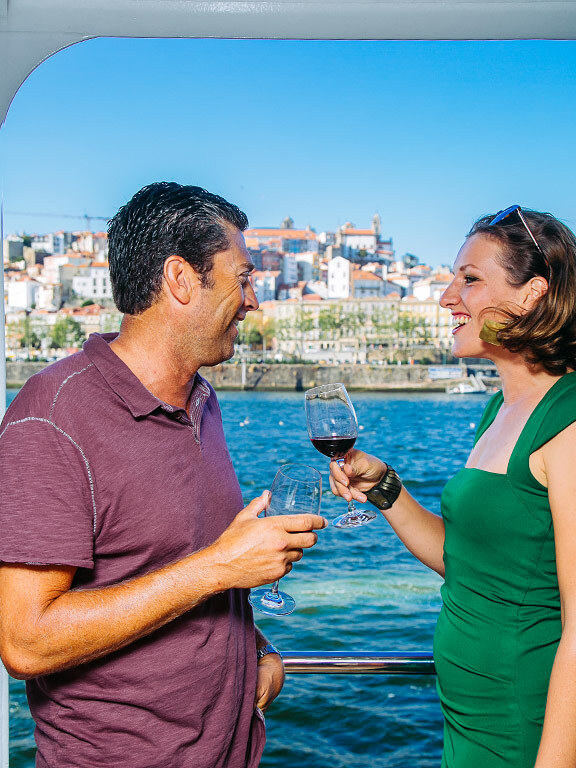 If you love meeting new people, enjoy the ease of unpacking once, and don't mind a set schedule of port departure times, you'll love our approach to active river and ocean cruising. Nobody does it like we do. 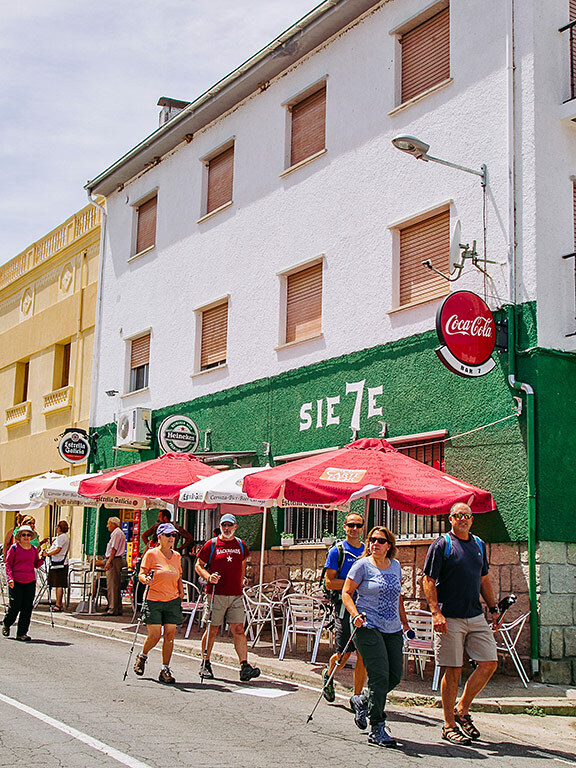 On our active cruises, we seek out diversity by including regionally authentic and inventive meals for onshore lunches, picnics and the occasional onshore dinner. On-ship meals, though delightful, are meant to appeal to a wide cross section of passengers and may at times feel more conventional for some, and less reflective of the region than on Backroads hotel trips. Every river has its own unique temperament and for centuries water levels have shifted due to rain, temperature and agriculture. High water levels may mean the ship cannot pass under a bridge, low water levels result in slower sailing, and a disabled lock can also lead to some extra cruising time. 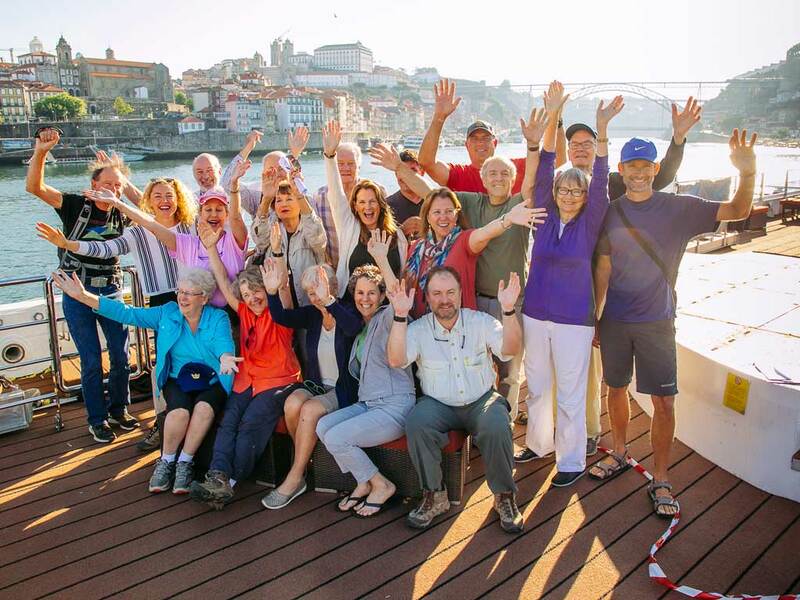 Should any unforeseen change happen during your river cruise, we will work closely with AmaWaterways' captain and staff, who are very experienced in going with the flow. 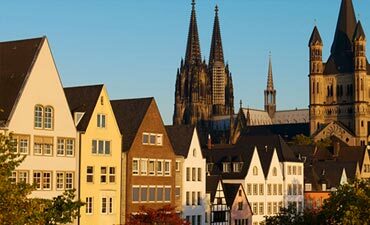 In contrast to our usual land-based trips, which have similar room categories, the AmaWaterways ships offer a wide range of stateroom categories. The top-tier staterooms often fill fast so book as early as possible if this is important to you. Some port conditions require that ships tie up alongside each other, in which case you may need to walk through another ship to access our ship. 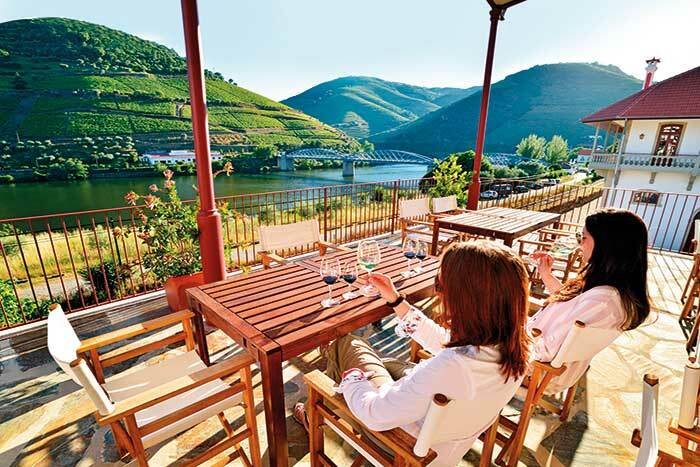 This is a perfectly normal part of river cruising due to its popularity. You may occasionally experience obstructed views from your stateroom when the ship is double-docked, but rest assured that as soon as we set sail again your beautiful views will be restored. 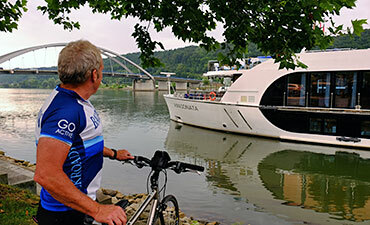 Backroads pioneered the active river trip, partnering with AmaWaterways, the leader in river cruising, to create a new kind of travel experience featuring biking and walking explorations from an elegant floating hotel. 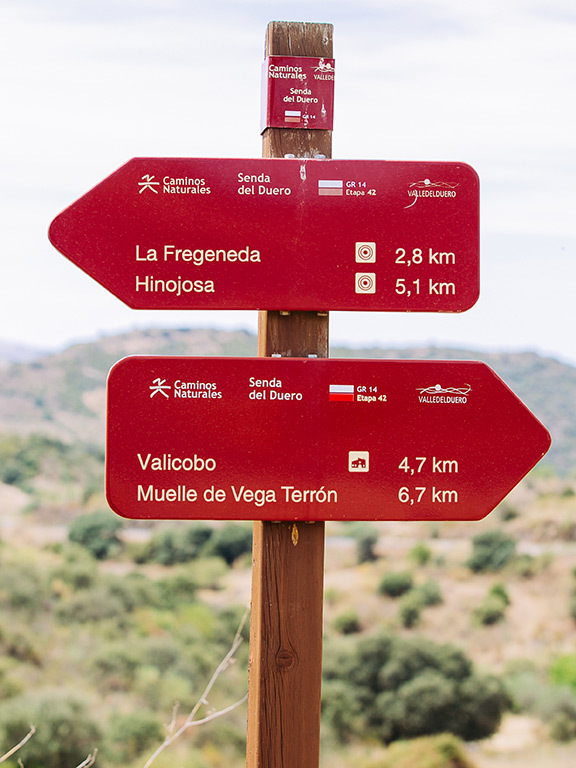 Read more about this ideal way to discover the heart of a region. 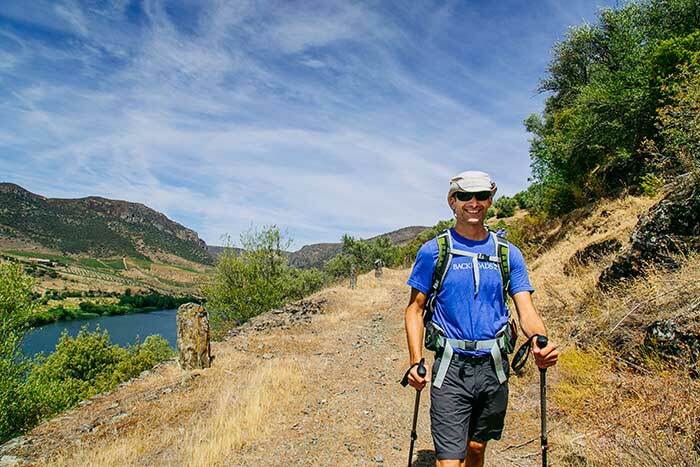 Backroads has the best-qualified people to lead your trip in Portugal, and our guests back that up, rating our Trip Leaders an average of 9.75 out of 10 for all-around quality of performance. Get the facts (and no fluff) on how we recruit and develop the very best people for your trip. 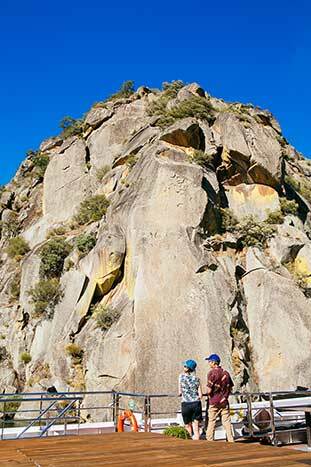 Why Walking & Hiking Trips? 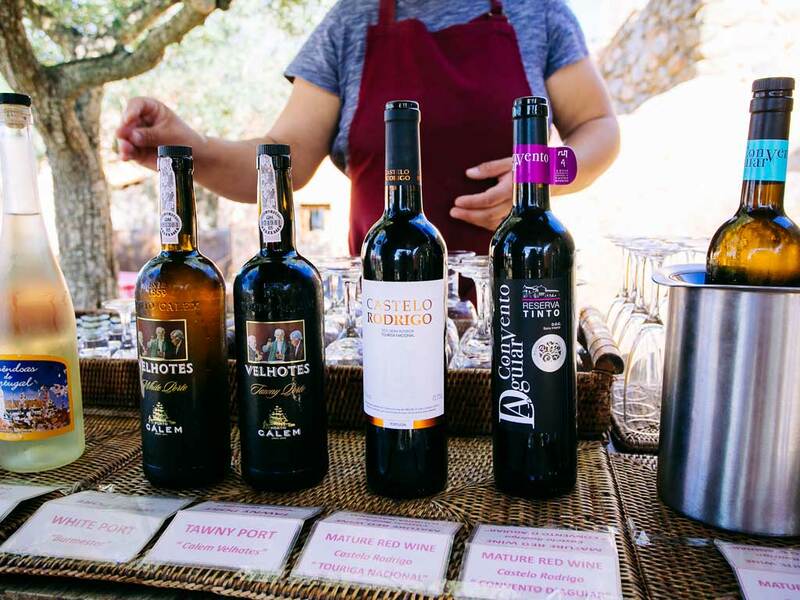 On my first visit to Portugal and the mesmerizing city of Porto, I got my first true peek behind the curtain into the fascinating realm of port wine.